Scotland's premier creative industries conference and showcase, XpoNorth, is set to shine a spotlight on building creative businesses in the Highlands and Islands by using old-fashioned storytelling laced with cutting-edge digital power. XpoNorth, which takes place this year on 7th and 8th June in Inverness, has become the go-to event for creative industry insiders from the UK and beyond to meet and mingle with creative businesses and individuals throughout the region. The festival, funded by Highlands and Islands Enterprise (HIE) and the European Regional Development Fund (ERDF), is free to attend, making it accessible to all. By day, delegates immerse themselves in full-on creative industry trends and developments at Eden Court Theatre. In the evening, it's all about networking and catching the next big thing on the music scene at venues throughout Inverness city centre. Last year, around 2,000 delegates flocked to the Highland capital to listen to panel discussions on the hottest topics in the creative industries and to take part in workshops, masterclasses, and one-to-ones with creative industry insiders. Organisers expect even more people to sign up in 2017. This year, as always, there's a wide range of world-class speakers lined up to debate and discuss hot topics facing the creative sector as technology enters into the realms of what, a few years ago, would have been considered science fiction territory. “HIE is proud and delighted to be supporting XpoNorth, an event aimed specifically at bringing together creative businesses from a wide range of sectors. Highlights this year include an in-conversation with Matteo Alessi of Italian design house, Alessi. The great-grandson of company founder, Alberto, will be discussing the power of provenance; a hot topic for Highlands and Islands-based designers. Icelandic design markets come in from the cold with an innovative session featuring Halla Helgadóttir, managing director of the Iceland Design Centre, who will join Highlands and Islands-based designers Hilary Grant and Julia Smith. Behind-the-scenes music gurus are always out in force at XpoNorth. This year, there is a stunning line-up up of leading figures from the world of music licensing who will also be on the lookout for talent while they are in Inverness. Sarah Bridge, music supervisor in charge of the multi-Oscar winning Stephen Hawking biopic, The Theory of Everything and commercials like Nike NFL: Fast is Faster, taking part in a session with fellow international music buyers, Duncan Smith, Senior Music Supervisor for Sony Entertainment Europe; Nick Oakes from Sony/ATV, the world’s largest music publisher, who has worked on high profile ad campaigns for the likes of Adidas, Vodafone and Peugeot; and from Fox Broadcasting in LA, Steve Celi, who has worked on primetime shows such as American Idol, X Factor and Glee. Story telling in games – both old-fashioned and digital – will be highlighted in a keynote from Michael Rueger of Head of Concept Lab at German toy giant, Ravensburger, and formerly Head of New Media at RTL Disney and, as predictive analytics becomes the secret weapon of every business, Scots tech boffins, DataLab, throw the switch on how to make analytics work in creative businesses. 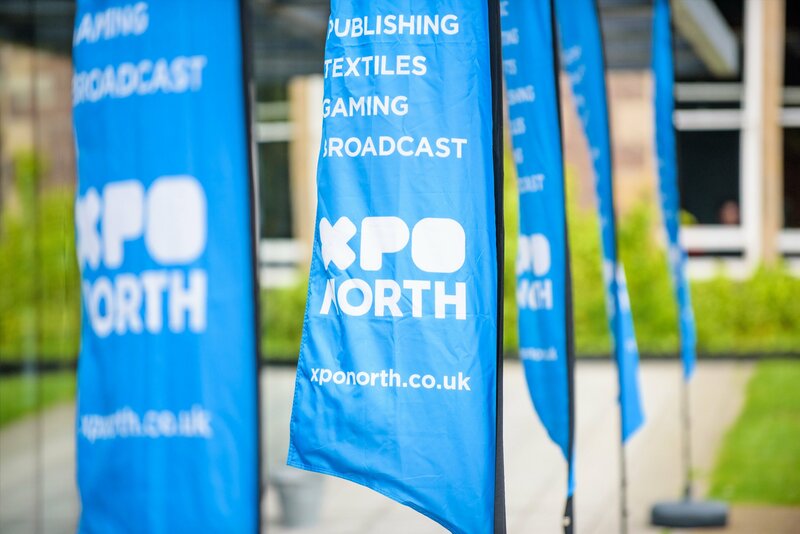 Anyone playfully serious about creative industries will be pulled in by XpoNorth's Gaming and Technology Playground which will run in Eden Court on both days and will allow delegates to discover how technical knowledge can be converted into practical uses for business. As well as being able to test the winning games from the 48-hour-long Moray Game Jam, which takes place in March in Elgin, delegates can get up close and personal with a low-cost flat pack robot called Marty. 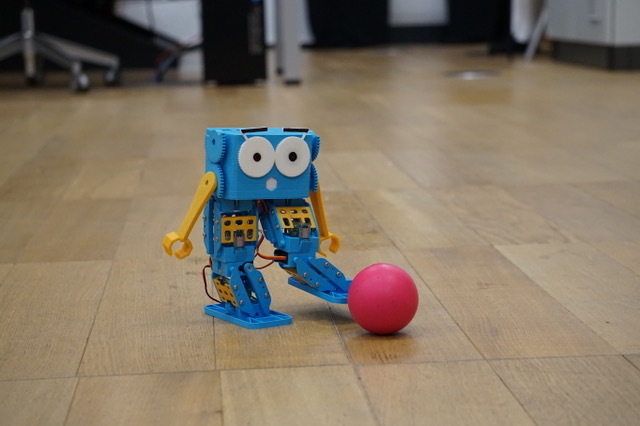 The brainchild of Edinburgh-based entrepreneur, Alexander Enoch, who created Marty during the course of researching his PhD at Edinburgh University, this cute yet functional fellow looks set to inspire a new generation interested in programming and robotics. One of the UK's leading literary agents, Jenny Brown, is co-ordinating a Dragon's Den style writers' pitch session at which non-published writers who have submitted fiction and non-fiction ideas in advance of the festival, will get the opportunity to pitch to a panel of leading publishers and agents. Another hot topic in the makers' world is Manufacturing Vs Outsourcing and this will be examined by a crack panel of makers, including Fair Isle-based knitwear designer Mati Ventrillon, who recently appeared in the BBC documentary about Fair Isle, Living on the Edge. Throughout both days at Eden Court, the festival's perennially popular short film showcase, presented in association with submission partners FilmFreeway, will screen films from up-and-coming filmmakers from Scotland and beyond. Last year, over 3000 films were entered from 104 countries around the globe, with around one hundred being selected for screening. There will also be around seventy bands showcasing with half hour sets in venues across Inverness before an audience made up of delegates, industry players and interested members of the public. "incredibly valuable platform for showcasing Scotland’s wealth of talent and innovation in the creative and artistic industries." 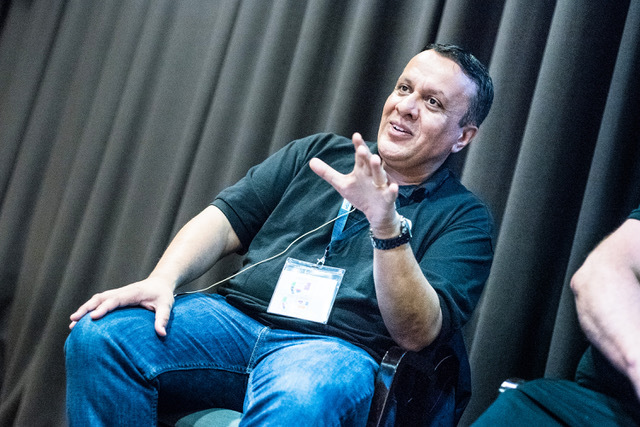 "In the years I’ve been attending XpoNorth, I have seen it grow and change in stature. "The organising team do a great job of getting the right people to Inverness to showcase this talent with a very global-minded approach. Every year I attend, I find myself encountering new and inspiring people and great emerging music. And Inverness provides an amazing backdrop for the event with a wealth of great food, wine, Scotch and culture!" To top off the event there are opportunities for anyone aspiring to work in the creative industries as well. 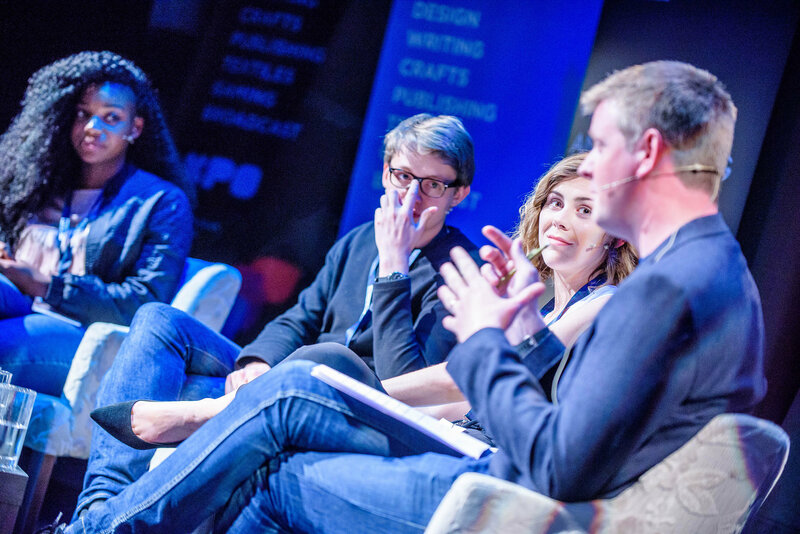 There's a special session, specifically tailored for XpoNorth, featuring BBC Writersroom, which recently launched in Scotland. This UK-wide talent development programme aims to find, nurture and support writers looking to get a start in a competitive and complex world of writing fiction for television. "We have an exceptional line-up of speakers, panels and masterclasses heading for XpoNorth this year. As well as an inspiring programme at Eden Court, we will also have a host of one-to-ones with industry specialists and various training programmes for anyone serious about developing existing and future work within the creative industries. 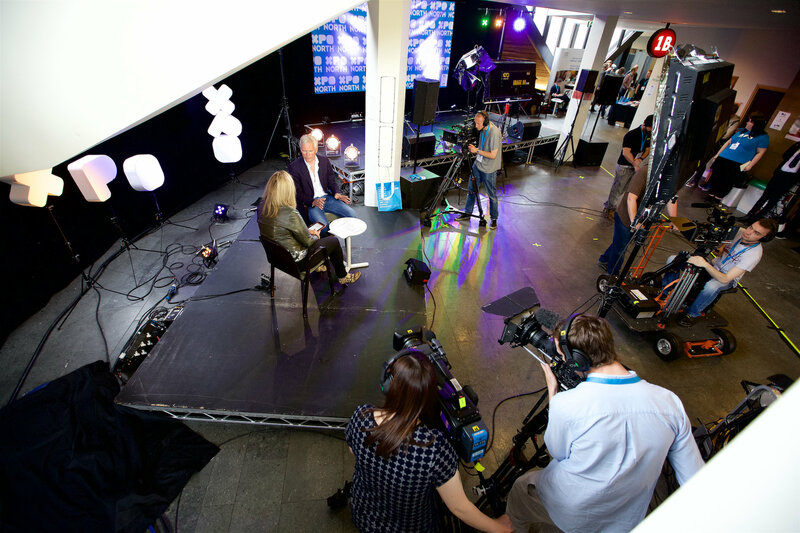 "To cap it all, following on from its successful run last year, our on-site television station staffed by trainees, XpoNorth Live! will be back in business once again covering the festival and recording XpoNorth in all its glory in words and pictures." More details of the XpoNorth programme will be announced in the months leading up to the festival. 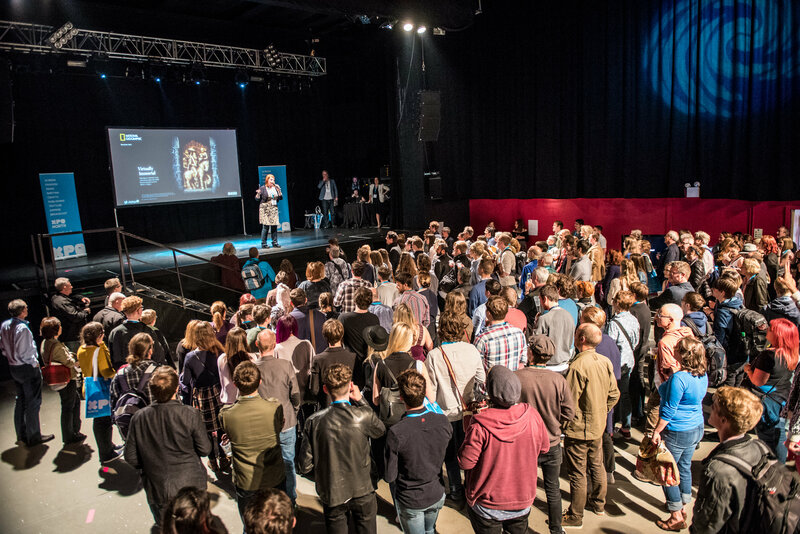 XpoNorth is a two-day conference and showcase devoted to the creative industries. It’s based in Inverness and for two jam-packed days and music-filled nights in June, hundreds of delegates come from all over Britain and further afield to meet, greet, listen, participate and share ideas in the fields of music, screen, broadcast, gaming, design, fashion, textiles, writing and publishing. XpoNorth also has a year-round brief from funders, Highlands & Islands Enterprise (HIE) and the European Regional Development Fund (ERDF) to support and develop creative businesses by providing practical assistance and networking opportunities. The only event of its kind in Scotland devoted to craft, textiles, fashion, games development, writing, publishing, screen and broadcast, design and music, XpoNorth is attended by leading creative industry insiders, who take part in workshops, panels and masterclass sessions over the course of both days. ScreenHI is XpoNorth’s screen and broadcast network. Led by former BBC producer, Amanda Millen, it operates all year round and supports businesses and individuals working in film, television, radio, animation and video games across the Highlands and Islands. Established to support the flourishing design community in the Highlands and Islands. Hosted by the Creative Futures Partnership, a collaboration between The Glasgow School of Art (GSA) and HIE. Led by the Institute of Design Innovation (InDI), a research institute based in Forres, Moray, within the GSA. The sector head of Emergents Makers is Pamela Conacher, who leads a team which provides a pro-gramme of advice, training and support for the craft, fashion and textile sector in the Highlands and Islands. For further info or images please contact Jan Patience or Amanda Millen at info@xponorth.co.uk.